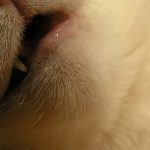 Periodontal disease is the most common disease of dogs and cats, yet is too often underdiagnosed and therefore not treated. This can lead to tooth loss and other medical issues from the chronic infection and the immune system response. 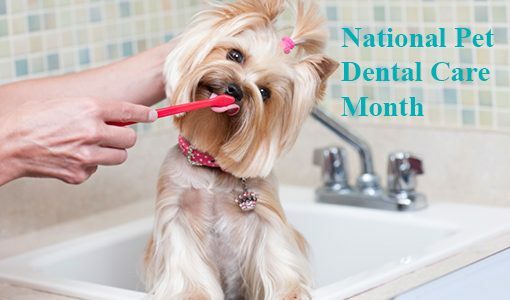 By far, the single best thing you can do for your pet’s dental health is to brush the teeth daily. 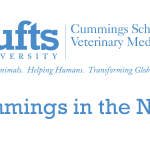 Start with a “clean slate” and establish this routine for a puppy or kitten or after a proper dental cleaning in an adult dog. The daily part is important because plaque builds up every day and hardens into calculus (“tartar”) within 24-36 hours. 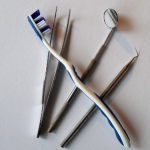 The most important area to brush is the outside of the upper teeth. This means you can brush with their mouths closed. 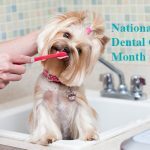 They get cavities much less frequently than humans, so you don’t have brush as long as we are supposed to; cleaning most dogs’ and cats’ teeth takes less than 20 seconds. Without concern about cavities, we can also reward with a proper tasty treat. Proper dental procedures require your pet to be placed under general anesthesia. This allows for a complete examination above and below the gum line, including the use of dental radiographs. “Anesthesia-free” dental cleanings run the risk of an incomplete dental examination and no dental radiographs. Without these, the most significant dental disease can be missed. Even if one considers such procedures as “maintenance,” seeing clean teeth above the gum line can fool you because disease can still be lurking below the gum line. Anesthesia with proper preparation and performance is the safest method for dental cleaning. Some toys and treats can be harmful to your pet’s teeth. Animal bones (soup, shin, marrow, sterilized, steak, knuckle, etc. ), inflexible nylon/plastic bones, hooves, antlers, and the cement-like Himalayan chews (also referred to as Yak’s milk, Tibetan milk, etc.) can cause tooth fractures. Even worse, the teeth that are most often fractured are the upper 4th premolars, the most important chewing teeth in a dog’s mouth. Fractured teeth may soon become infected, but most do not show any external signs such as swelling. Dogs are often too stoic for their own good and never show the pain that is associated with an abscessed tooth. Your primary care veterinarian will conduct a regular dental exam during routine well checkups, evaluating for periodontal disease, fractured teeth, etc. It is important to follow up with dental care to avoid having chronic dental disease develop that can lead to other medical issues.